Beautiful book to hold and read through. 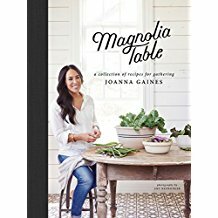 As a fan of Joanna & Chip Gaines, I read this book cover to cover and marked the recipes I would like to make. I enjoyed all the photos of her and her family on their farm. The photos of the food are spectacular as well. I’m glad I own this book - it’s a keeper. I would venture to say 75% of the recipes include heavy cream - something probably quite plentiful on their farm, but not something I keep on hand for dietary health reasons. Loads of butter and cheese are also included in many recipes so dieter beware. But still the recipes sound delicious and comforting and most of them simple enough for anyone to make. I’m hoping these recipes will make me want to cook as much as she does. I loved reading her little introductions through the chapters, in which she shares how much her family members enjoy her cooking. Ladies, do you need motivation in your life? Look no further than this book. 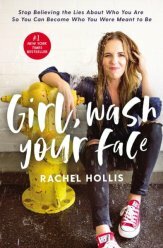 Rachel Hollis gives you inspiration to set goals and reach them. She reminds you of what not to do or say that may hold you back. She encourages you to get up and get moving. She doesn’t hold anything back, as she openly and honestly bares her soul, writing from her own experiences and mistakes to share what she has learned and to help you not make the same mistakes. Each chapter confronts a lie that may be holding you back. If you listen to the audiobook you get the added benefit of her enthusiastic voice. Women of all ages can benefit from this book, but I especially recommend it for those in their twenties, thirties and forties. Note to author: Rachel, go ahead and read this review because it is a positive one. :) Thanks for your honesty.